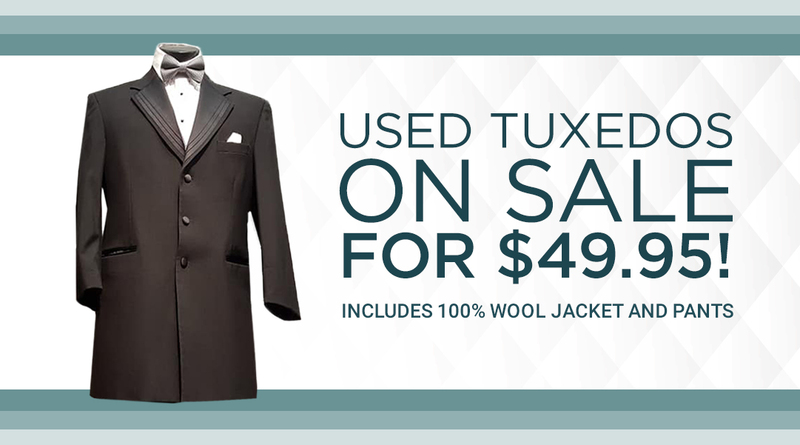 Used Tuxedos in Windsor for ONLY $49.95! Holiday Suit and Tuxedo Rental Special Happening Now! Get a Custom Look with a Mix n Match Tuxedo Rental Package! 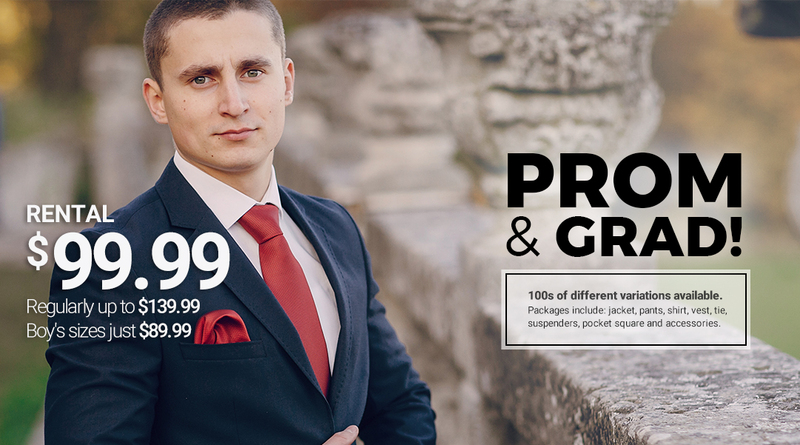 At Monty Formal Wear, we’re always working to bring you an outstanding selection of formal wear in Windsor and Essex County at a great price. With that in mind, we’re excited to bring you a great offer on a wide selection of items in our store. Thanks to a purchase of retail merchandise from a sister store in London, you can choose from a wide variety of formal wear at 75% off the regular retail price. This is your chance to get a great look at an outstanding price. 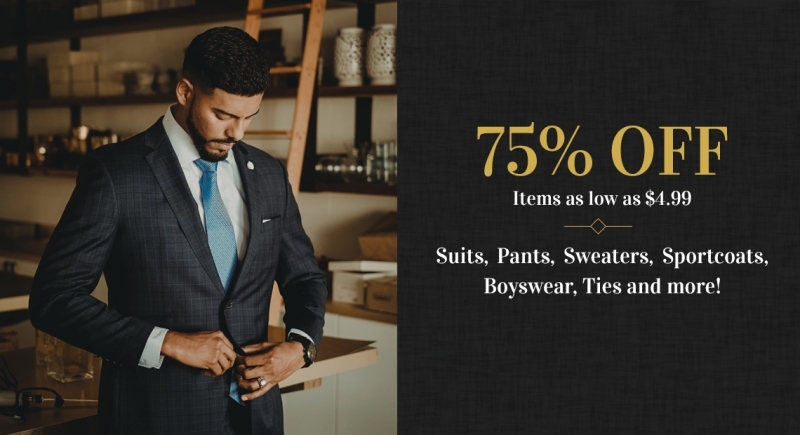 Our 75% off merchandise includes suits (starting as low as $99.95), pants (regularly $125, now $29.95), sweaters, sportcoats (starting at $49.95), ties (starting at $4.99), accessories, shirts and boyswear (pants, blazers, suits and sweaters). 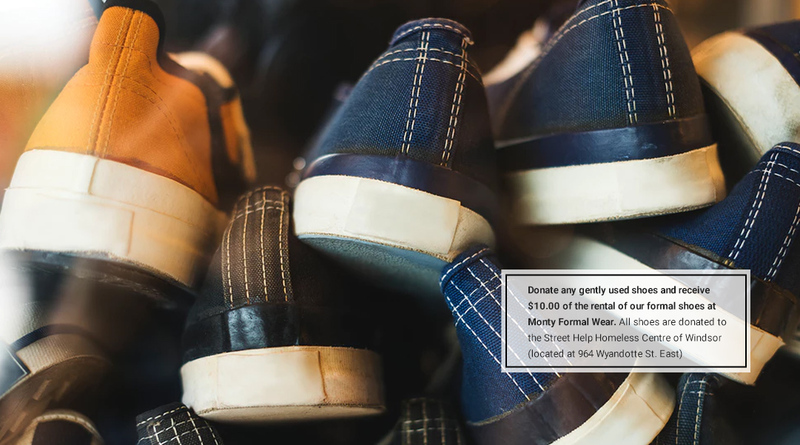 Whether it’s an outfit for your next party or just to add to your wardrobe, now is a great time to get high quality clothing and accessories at a terrific price at Monty Formal Wear. With the chance to save this much, these items won’t last long, so stop by Monty Formal Wear at 4451 Tecumseh Rd. E today for the best selection. To learn more about our 75% off select merchandise offer, call us at 519-258-3522 or email us for more details.